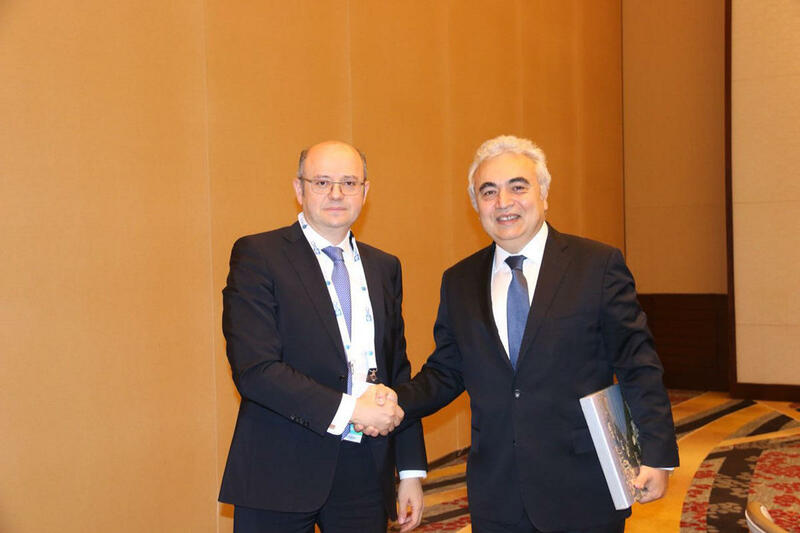 Fatih Birol, executive director of the International Energy Agency (IEA), is expected to visit Baku in September, Azerbaijan’s Energy Ministry said in a message June 27. The information was announced at the meeting of Azerbaijani Energy Minister Parviz Shahbazov and Fatih Birol at the 27th World Gas Conference in Washington. During the conversation, the sides exchanged views on the forecasts and assessments of trends in the development of the global oil and gas market, noted Azerbaijan’s strategic role growing in the global energy space thanks to the energy projects being implemented. The parties also considered prospects for cooperation between Azerbaijan and the IEA. Shahbazov highly appreciated the IEA activities and stressed the importance of the upcoming visit to determine the directions of bilateral relations. The Azerbaijani minister also met CEO of Uniper company Klaus Schafer. Schafer noted that he considers Azerbaijan one of the main partners of Uniper, adding that the company is interested in continuing joint cooperation.